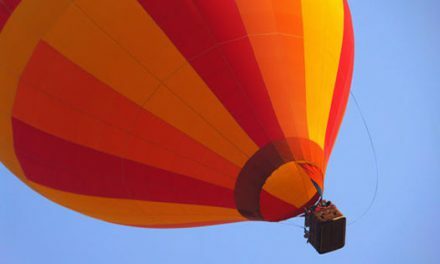 The votes are in: core inflation is misleading! 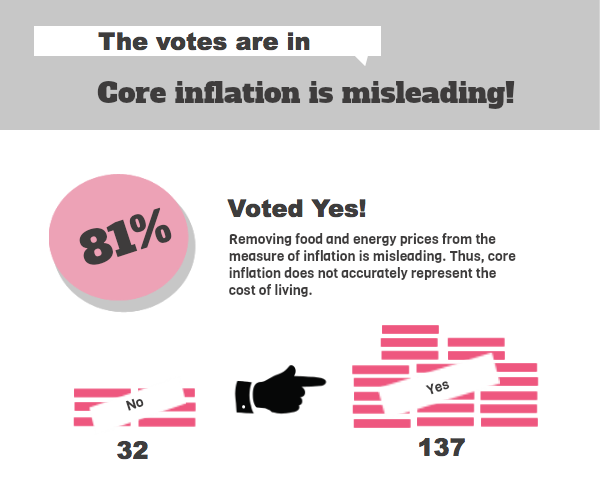 It’s clear that many consider core inflation a highly suspect measure for the cost of living. We think it’s right on track. The naysayers, or hawks, argue removing the cost of food and energy from the measure of inflation is just plain wrong. The bulk of personal incomes are spent on these commodities, after all. Thus, increases in food and energy prices drastically affect the cost of living. 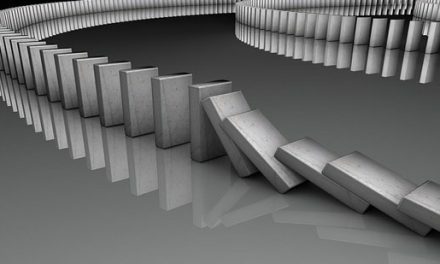 To the hawks, the Consumer Price Index (CPI), along with the Federal Reserve (the Fed) turn a blind eye. But inflation is much bigger than what an individual pays at the pump on any given day. Core inflation tracks long term price movement for a huge basket of goods and services. Food and energy are rightly subtracted from this measure since they are highly volatile commodities — exhibiting severe price swings from day to day. To those of you who voted that core inflation is misleading, consider the current consequences of including food and energy prices in our measure of inflation. The Fed would have responded to the recent spikes in gasoline prices (which have now abated) by driving up interest rates and affecting your buyers’ purchasing power. Food and energy prices are so unpredictable, that if considered in shaping monetary policy, interest rates would likewise be unpredictable. Unpredictability, as the Fed well knows, is very dangerous for encouraging growth, which is why they have pledged to keep rates low into 2015. In order to properly gauge monetary policy, the Fed must look at core inflation. It is the most reliable measure for the cost of living we have. Besides, over the long run, commodity inflation converges to core. NextFHA reserves drop below zero: is a bailout on the horizon? I wonder if using a moving average for volatile components (like food and energy) would make more sense? Then we would be able to include these components which really do affect our lives, without spiking interest rates tied to inflation.